The staff at Suikosource have created many guides to help you through Suikoden Tierkreis. Almost any information you might want to know about the game is listed here. 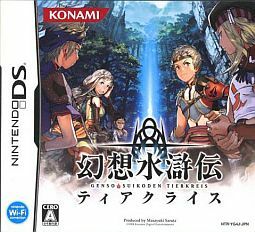 A Trading Post Guide program for Suikoden Tierkreis as an attractive and interactive alternative to the typical guides.